This follow-up to Joe’s best-selling Solo Jazz Guitar explores the blues elements of jazz guitar. Joe covers bebop blues, new chord substitutions, pedal tones, jazz/blues improvisation…and much more. As usual, Joe brings wit and style to his invaluable guitar lessons, taking you straight to the heart of the “blue” side of jazz guitar. Anyone with a modicum of appreciation of musical complexity on any instrument, would not fail to be impressed with mr Pass, his mastery of the guitar and his intuitive feel for melodic tangent are inescapable unquantifiable technical qualities, yet he imparts a poetic and human sense of self expression with a firm grasp of what defines “cool”. Even if you don’t aspire to play Joe Pass style jazz, this is a must for any even slightly ‘jazzy’ guitarist. He assumes you’re serious and know a few things about guitar already. Get in tune before you hit play. Pass takes us through a dizzying array of “changes” but never leaves the I IV V blues progression and never deviates from key of G Major. It is up to the student to transpose this stuff and use it elsewhere. The only melody present is what Pass makes up off the top of his head, and only as a point of reference. This is awesome, as it keeps the attention where it should be for the sake of this subject, playing the blues. Any blues. I would say it’s a lesson in practical “:changes” you can use in millions of different numbers, AND a lesson in how to think like a jazz man while playing or accompanying others. It’s one thing to get a world-class jazz man to spend an hour with you explaining how he thinks while he plays, another to get him to explain it to you over and over for weeks until you get it. HINT: Don’t let his amazing technique fool you; you do not have to be an advanced student to profit from this lesson. If you can play a I IV V blues in G you are ready for this tape. Just be prepared to spend a lot of time pausing because Pass does not waste time carefully spelling and showing each chord; he leaves it to you to pause the show and figure it out. This is actually a very good thing. Time is money. Here you get raw guitar action, not some guy basically reading you the text book. 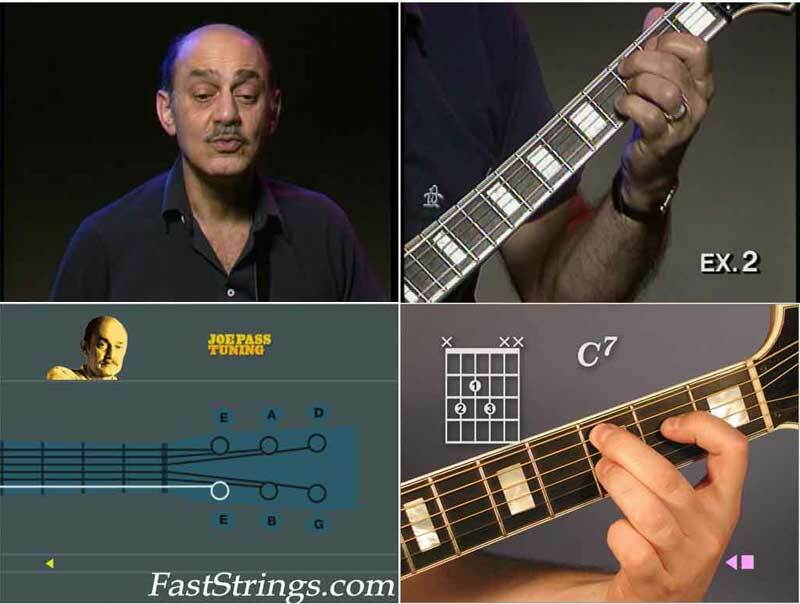 I love Joe pass and great teacher. I dont have the pdf plz is the a way I can download?